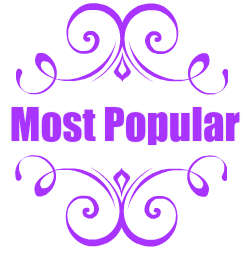 This post is sponsored by Dixie Crystals in conjunction with a social media campaign through Sunday Supper LLC. All opinions are my own. Today, I’m back in the kitchen with #SundaySupper and we’re working with Dixie Crystals to bring you some creative and “spooky” Halloween treats that you’re just going to “SCREAM” over! I’m so glad that October is finally here. What’s so great about October? Well normally the leaves start changing, the days start to get a little cooler and ooo what’s that other thing that happens in October? It’s that Holiday….at the end of the month…I think it might start with an H……. We’ve only got a few more weeks until Halloween is here and you know that I’m bursting at the seams. I’ve got a new apartment to decorate this year and I’m even thinking about having a little Halloween dinner/party. Well, I’m thinking about it, I haven’t totally made up my mind yet. I was really sad at first that I wasn’t going to get to decorate our old house for Halloween but now that we’re in the new apartment I’m thinking of all kinda of great decorating ideas. 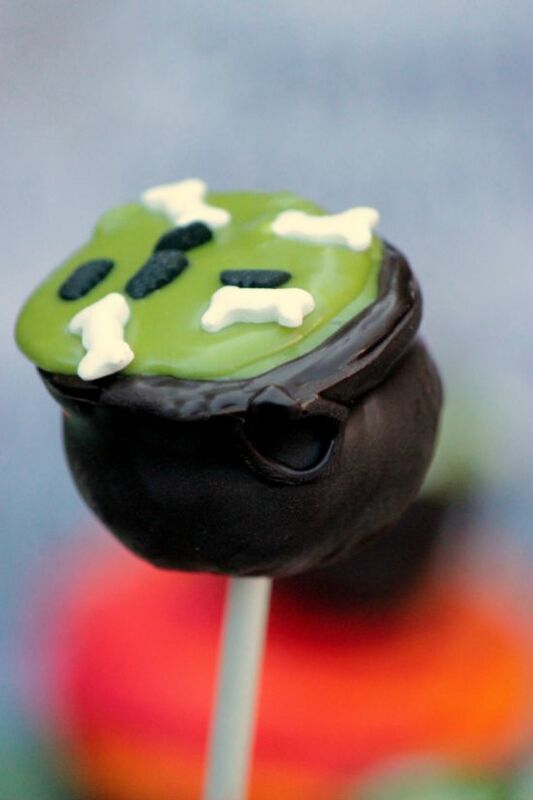 Since I’m thinking about a Halloween party I’m also thinking about Halloween party foods and sweet Halloween treats. 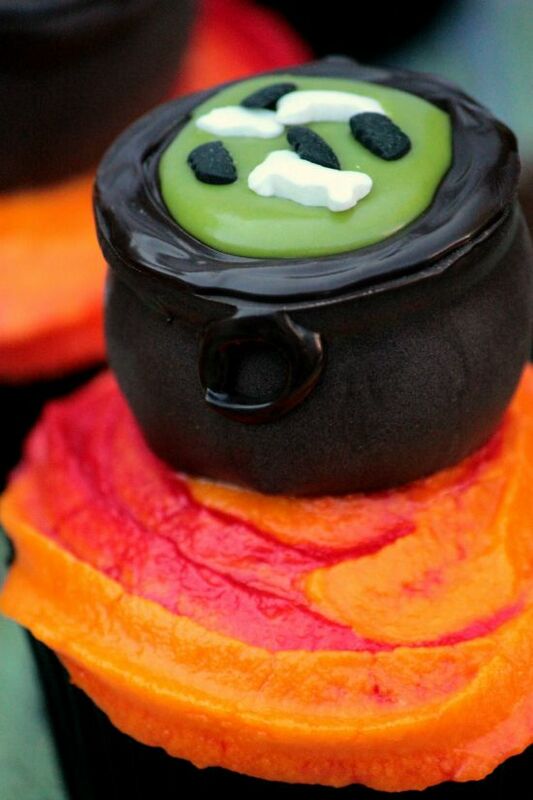 I’m a total sucker for cute Halloween desserts. So if we do have a party, guess what we’ll be serving up. That’s right! 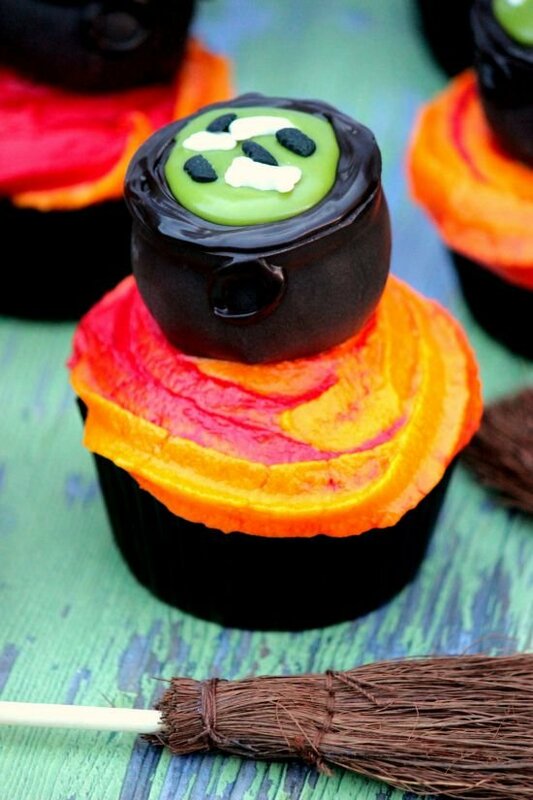 I’ll have a huge cupcake stand full of these Cauldron Cupcakes. Every year I switch out my Halloween themes for the house. I bounce back and forth between The Nightmare Before Christmas and a Witch theme for the house and well, this year it’s going to be all about witches. I’ll have old witch brooms in the corner, a witch wreath on the door, spell books on the coffee table and potion bottles on the bar. 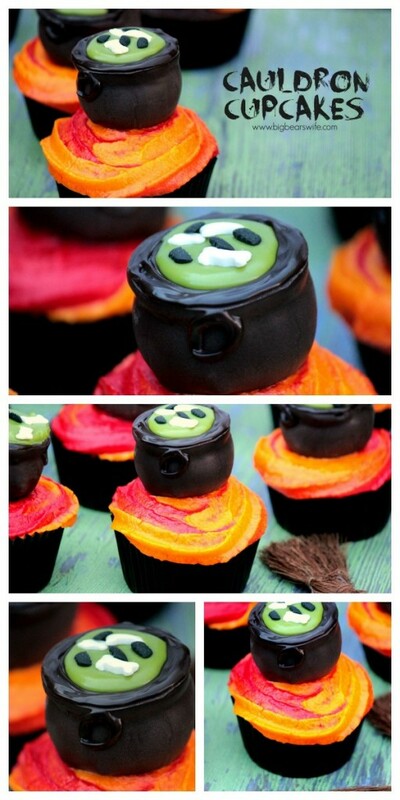 Oh and of course these cupcakes, because where is a witch without her cauldron. Exactly! Ok, ok, you convinced me. We’ll have the Halloween party! YAY! But let’s talk cupcakes first. You’re ready, right? 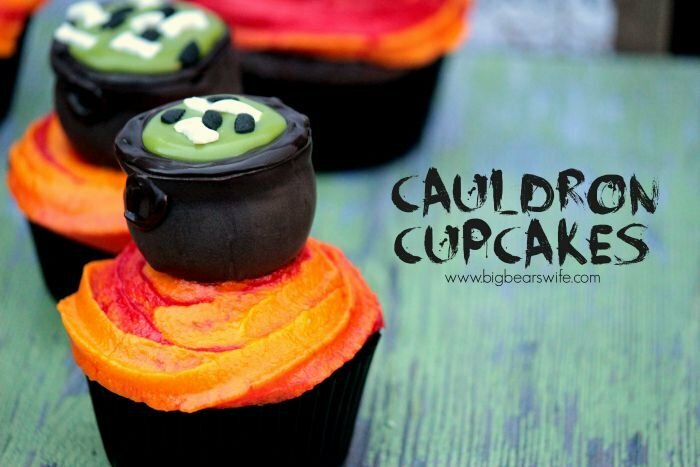 So the entire Cauldron Cupcake is edible, including the actual Cauldron. The Cauldron for the Cauldron Cupcakes is made from 1/2 of the cupcakes that you’re going to bake and a wee bit of icing. 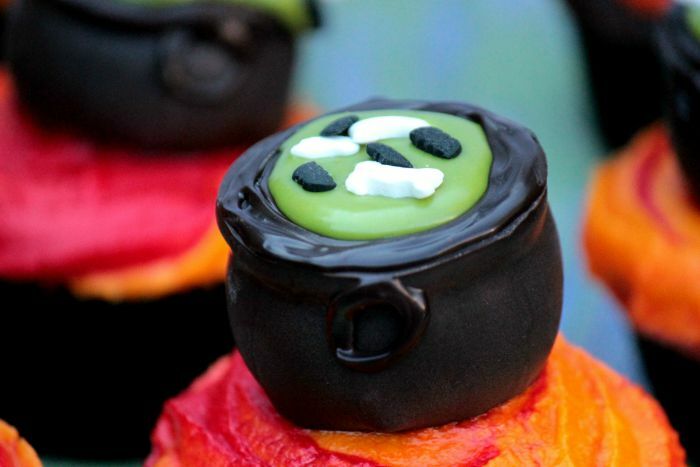 The Dixie Crystals Confectioners Powdered Sugar makes the most amazing icing for these Cauldron Cupcakes. 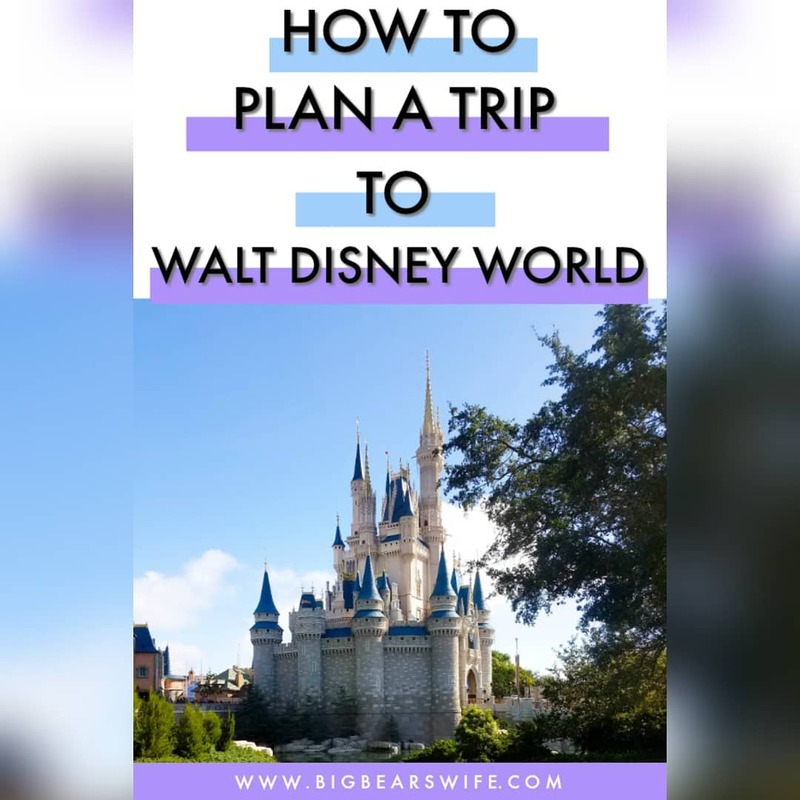 I’ve got the directions for you below, along with the recipe and directions for the cupcakes and icing. 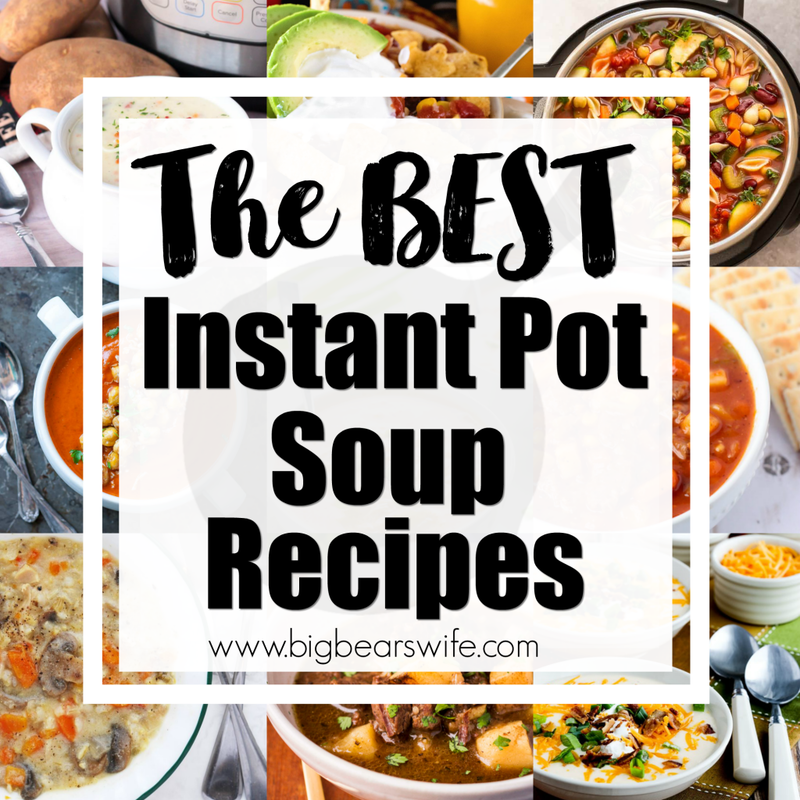 These are actually very easy to make. I’m no cupcake decorator and I made them just fine. You’ll be fine, I know you will be. 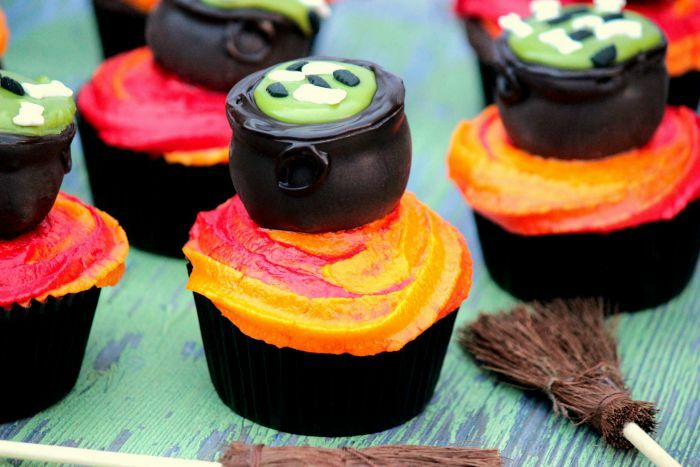 Are you going to make these Cauldron Cupcakes for your little “witch or warlock”? Let me know if you do! 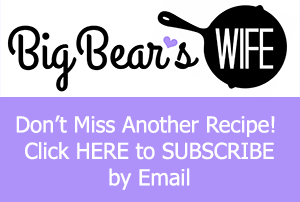 Snap a picture of them and tag me on Instagram or use the hashtag #BigBearsWife and show me on social media! 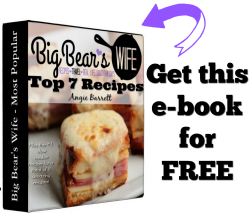 If you have any questions about these (or any other recipe on the site) just shoot me an e-mail! Happy Haunting! 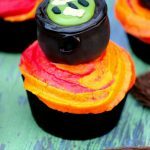 Check out all of the spooky Halloween recipes and crafts on this website!! Pre-heat the oven to 300F. Next add in the eggs, milk and oil.Mix Well. Stir in the vanilla. Carefully mix in the boiling water. The batter with be liquid like! Pour batter into 12 cupcake liners that have been placed into a cupcake tray.Bake in a pre-heated oven at 300F for 30 minutes or until done. Pour 12 cupcakes worth of batter into the cupcake tin. You don\'t have to use cupcake liners for the last 12 if you don't want too because these will be crumbled to make the cauldrons. Bake in a pre-heated oven at 300F for 30 minutes or until done. Cream butter in the bowl of a mixer. Slowly add the Dixie Crystals Confectioners Powdered Sugar while mixing. Add in the milk 1/4 of a cup at a time and mix until combined. If you need the icing thicker add more Dixie Crystals Confectioners Powdered Sugar. If you need it thinner add more milk. Remove 1/4 of a cup of icing from the bowl and set aside. Also set aside 2 tablespoons of icing for the cauldrons. Tint the 1/4 cup of icing with the Avocado Green Food Coloring. Add 1 tablespoon of milk to thin out the Avocado Green icing. Divide the remaining icing into three bowls. Tint one bowl with Orange Food Coloring, one bowl with Red Food Coloring and the third bowl with Yellow Food Coloring. Crumble 12 of the cooled cupcakes into a large bowl. Add in 1 tablespoon of white frosting. Use your hands or a spoon and mix well. If the crumbs aren\'t sticking together add the 2nd tablespoon of icing. Mix well. Roll the cake crumbs into 1 tablespoon balls. Place on a baking sheet lined with wax paper. Stick a wooden skewer or lollipop stick into each one. Remove from freezer at let the cake balls sit at room temperature while you melt the chocolate. Melt the Dark Chocolate Melting Candy Wafers (or Black Melting Candy Wafers) in 30 seconds in the microwave until melted, stirring after each burst. Set the rest chocolate aside. Let the chocolate dipped cake balls sit long enough for the chocolate to harden. Fill a large piping bag fitted with a large star piping tip with the yellow, red and orange icing. Don\'t stack the icing ontop of each other but instead spoon them side by side in the bag so that you\'ll get a swirl affect when you pipe the icing onto the cupcake. Taking a cooled cupcake, starting in the middle of the cupcake, swirl the icing in a ring until the top of the cupcake it covered. This will represent the fire for your Witch\'s Cauldron to sit on. Pull one of the chocolate covered cake balls from the wooden skewer. Place in into the middle of the cupcake with the hole part down and the flattened edge of the cupcake facing up. Re-melt the chocolate that you set aside and pour it into a piping bag. Snip a small hole in the tip of the piping bag. Pipe a rim around the top of the Cauldron (this will hold the green icing in later), then pipe two circles, one on each side, to create the \"handles\" for the Cauldron. Let dry for 2-3 minutes. Fill the top of the Cauldron with the green icing. Add in a few Halloween bat sprinkles and bone sprinkles. 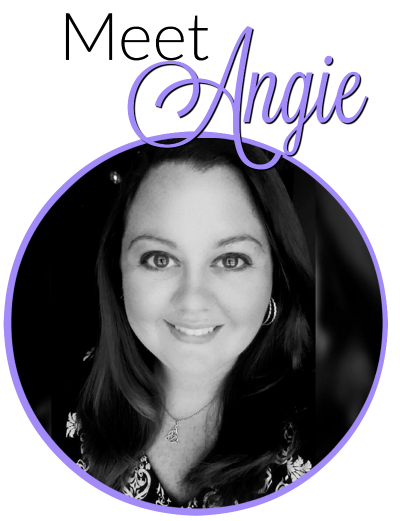 Check out more Dixie Crystals Recipes and follow them on social media to keep up the latest on their happenings and wines: Facebook, Twitter, Instagram, Pinterest and Google+.